Ten of our 10mg Regular Strength Cookies. 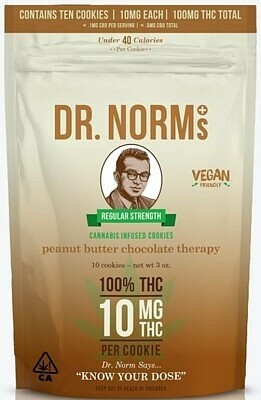 For those with a slightly higher tolerance who feel that one cookie is simply not enough! A great value for the Dr. Norm’s addicts out there. 100mg activated THC in total.